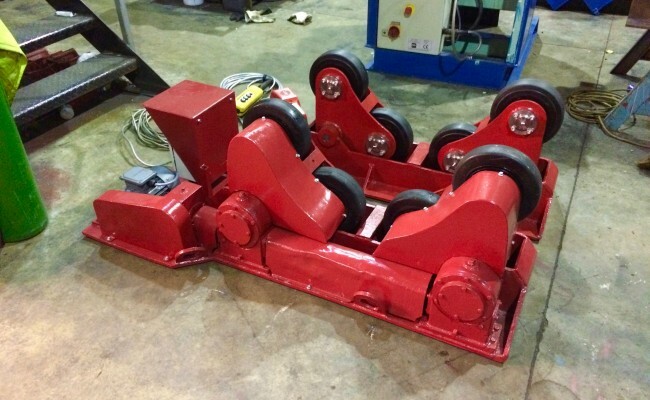 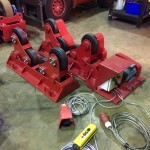 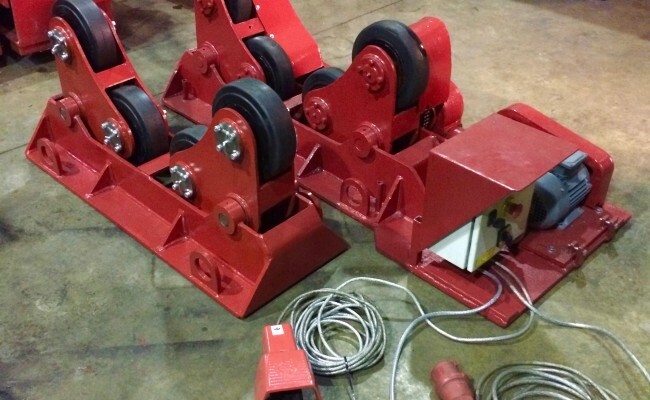 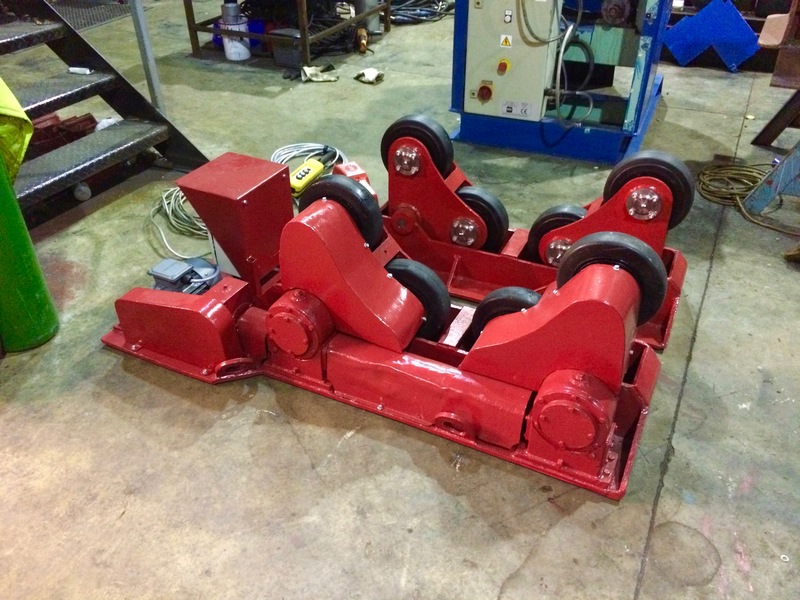 We have recently built back up these BODE SAR 60 3 tonne self aligning welding rotators from pretty much scratch, which are now available for hire or to buy (these rollers haven't yet been used once as of January 4th since their full reconditioning, and are essentially brand new again). 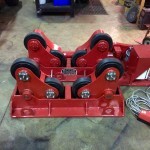 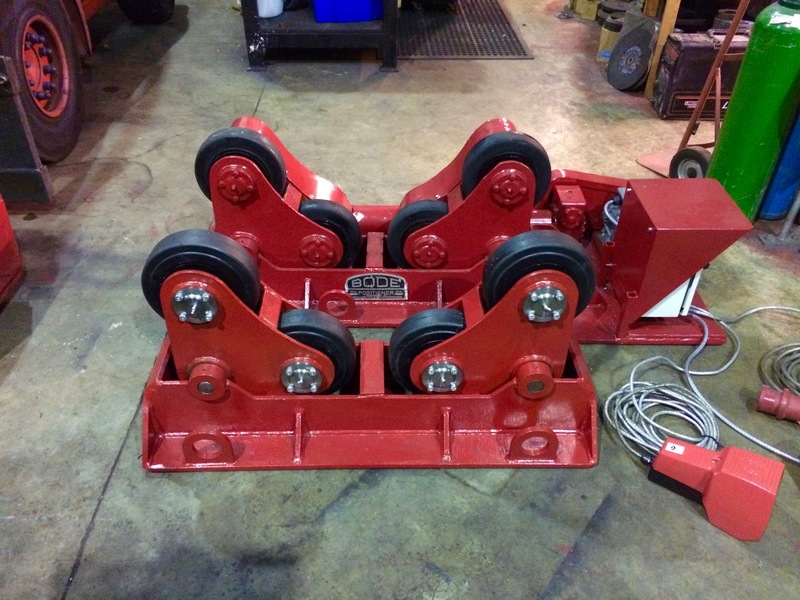 The reason we here at Spectrum go to the extra lengths of restoring a set of rotators like this back to brand new is that we sell them for half the price of buying brand new, and a small compact set of self aligning rotators like these SAR 60 model are very hard to find. 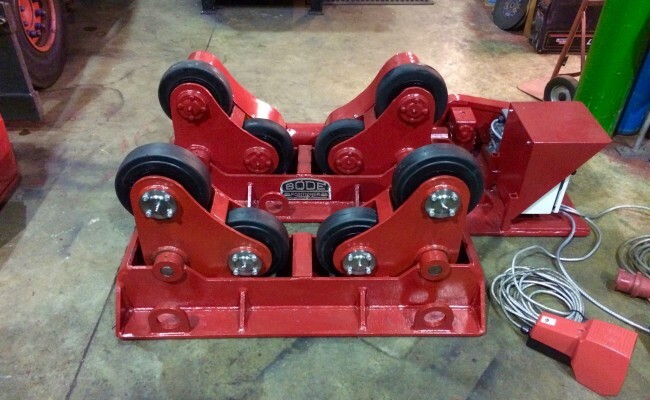 Bought from an auction it only came with a broken drive unit, so we fabricated and machined an entire brand new idler to suit, fitting all brand new components such as new machined steel shafts, tyres, bearings, and everything else seen in the photos below. 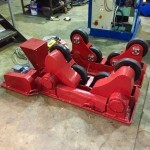 The drive unit has also had a complete overhaul and has been fully stripped to the bone. 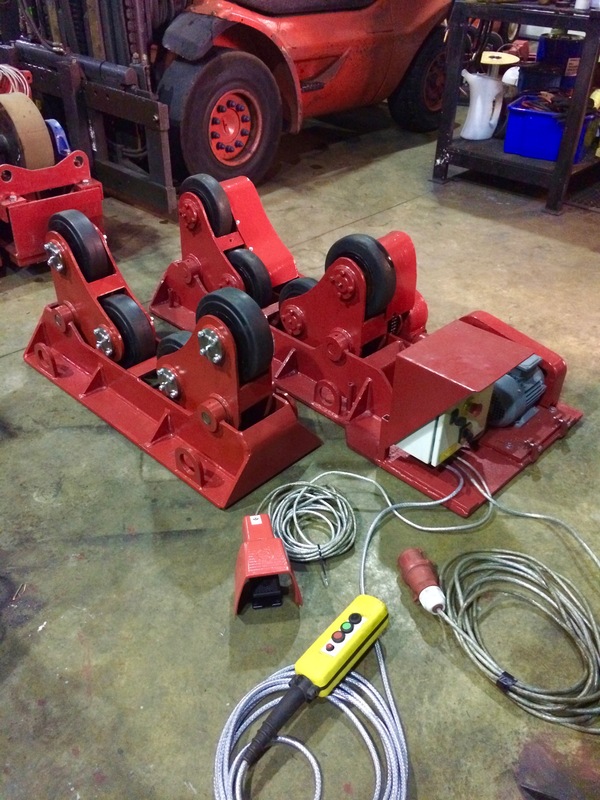 We have modernised the equipment with complete new electronics, cabling, control panel, tyres, bearings, new guards and every possible fitting in order to get these SARs back to brand new.